As usual, I have been busy with work again, so the only thing I’ve managed to do is to bake some healthy treats for my darling. 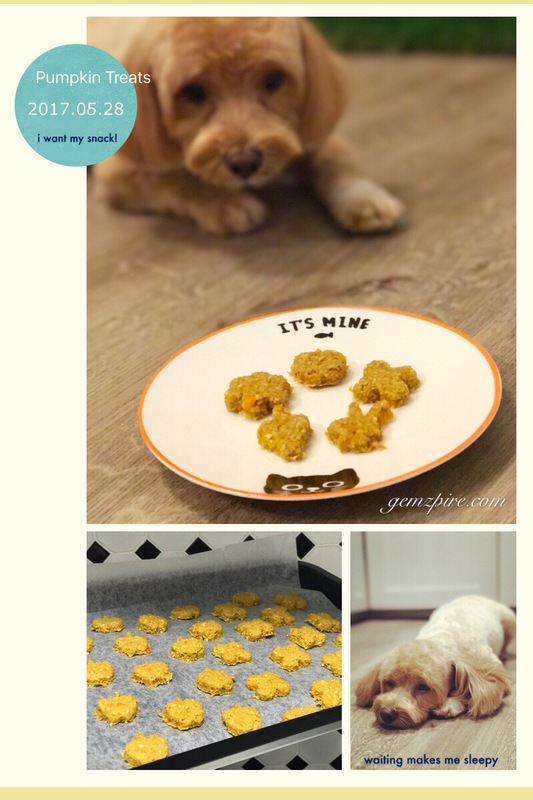 This time, it is pumpkin, oats and peanut butter treats. She loves it as always…hmm…but what doesn’t she love…heehee!